1. When should you book? The earlier you book the greater the chances are you will get what you want. So start your planning early. You know you definitely have to book your Christmas party when the nights are getting longer, autumn fashion is in the shops, and the children have returned to school. Find out how much your friends are willing to pay, and that might mean that the choice of venue is narrowed or it that it’s time to get creative with ideas. By not going for a traditional sit down meal there may be more alternatives out there to consider. Probably the most controversial decision when organising a party, the best thing is to go for the majority vote. You can’t please everyone but try to include most by circulating a tick list with three choices. Often venues have a cheaper deal during the week, but you need to consider the morning after if you are working during the week. And some venues start early with celebrations in November. A word of warning all the Friday’s in December are popular, with the likelihood that Friday, 19th this year will be the busiest night of the celebrations. 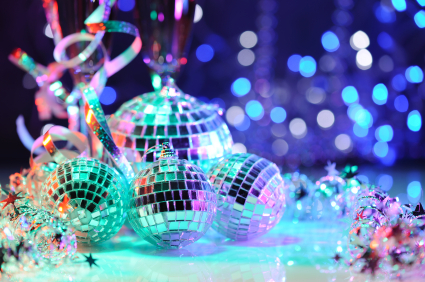 Here at Venues.org.uk - we have hundreds of Christmas Party Venues to choose from. Simply fill out the venue enquiry form with your requirements and let us do the hard work. Book it as soon as you can, deposits are usually required at this stage so get collecting, but remember to keep a record of who has paid. If you are looking to be entertained somewhere else make sure it is easy to get there on foot, especially in heels, or alternatively have good transport links. Many venues do a package that includes drinks and supper to keep you entertained in one venue all night long. You could choose a venue that has an exclusive after party and can accommodate an overnight stay. Consider an end of year health kick to squeeze back into that LBD and fasten the trousers on your once a year suit. If you fancy splashing out on something new, black is back this year so time to get slinky. Book your hair and beauty now, and enjoy the admiration for being such a great organiser.